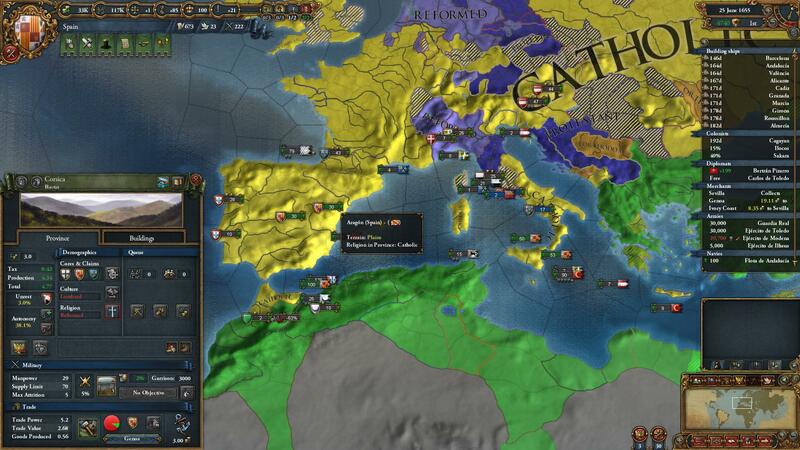 Since the game’s release over a year ago, Europa Universalis IV has seen several additions and some major and minor changes to the overall gameplay mechanics, as well as a smattering of cosmetic modifications. 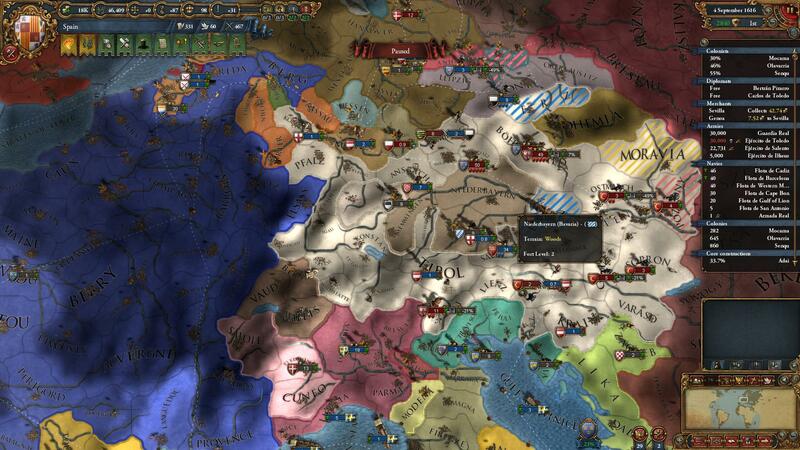 The latest EUIV DLC, Art of War, and corresponding 1.8 patch release, are no exceptions to the rule. In what is noticeably Paradox’s most extensive and perhaps game-changing expansion to date, Art of War presents several overhauls and gameplay modifications to the game, including a new larger world map with over 900 new territories, expanding the dimension as well as improving the historical accuracy of the world during the time period scope of the game. Players will also notice the introduction of 100 new nations, particularly in Asia, Africa, and North and South America. In addition to the cosmetic overhaul of the game, Art of War also revamped some of the game’s mechanics, with regards to diplomacy, religious dynamics, and most importantly the military and warfare. Within the diplomacy feature, players are now able to create client states, albeit later in the game due to technology constraints, as well as increasing or decreasing autonomy in provinces. Regarding vassal states, players can also designate marches, which essentially allows vassals to remain autonomous, but also provides boosts in manpower and defense. The drawback is the vassal would not be able to be annexed nor would it pay taxes. Religious dynamics also received some major adjustments. The Papal controller system received a complete overhaul, increasing cardinal numbers to fifty. Countries gain cardinals based on size and wealth rather than by papal influence points. Becoming papal controller now seems more of a crapshoot regardless of number of cardinals in the Holy See. Another major change to religion involves the Reformation period, which includes new events as well as the introduction of centers of Reformation, which makes the spread of Protestantism more orderly based on geographical proximity rather than at random. To highlight the conflict of the Reformation, Art of War provides new events culminating in the outbreak of the devastating Thirty Years War in Central Europe. 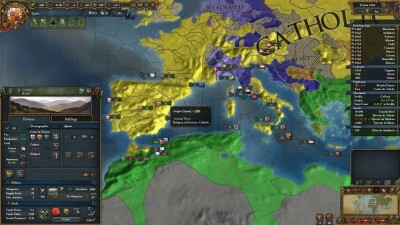 Within the backdrop of the Reformation, there are two religious leagues: Catholic and Protestant; players will be able to join either league, which eventually leads to a major war for religious supremacy involving all members of each league. As previously mentioned, the military receives a major portion of the improvements in the DLC. One of the features involves creating templates for recruiting armies and navies with greater efficiency, greatly improving military management. Another welcome feature is the ability to upgrade ships after researching a new naval technology, an ability which was sorely needed as it would prevent the need to disband obsolete ships and wait for new ships to be built. Conversely, players can also sell unwanted ships to other countries, which is a nifty source of revenue. Within the naval realm, the game also provides player with the ability to transport allied troops to overseas battlefields. However, we’ve encountered several instances where the AI would not board transports and remain on a coastal province, in some cases, for the duration of a war. Though a great concept, we would like to see Paradox address this issue. Wars themselves also received some needed refinement, particularly when allied nations join wars. 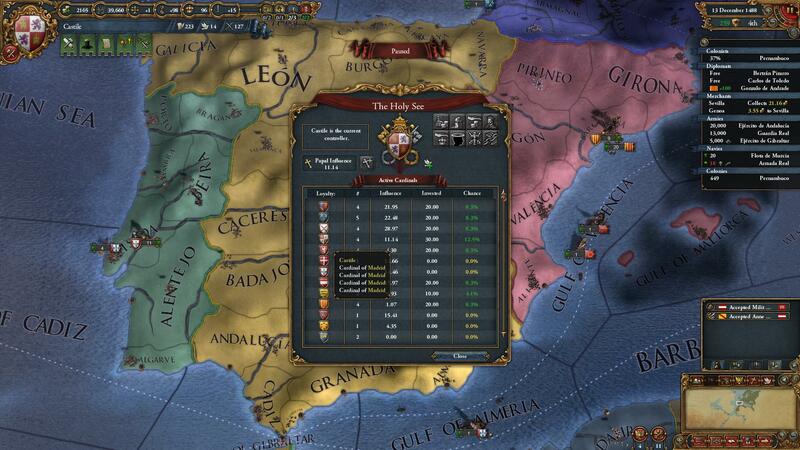 Players are now able to set objectives for allies and vassals during wars as well as being able to turn over control of occupied provinces to allies. War leaders must now also take into account an ally’s desired outcomes during peace negotiations, if an ally has interests in the same war, which can now be viewed in the revamped peace negotiations screen. The final notable change, available through the 1.8 patch as well, is the frequency and occurrence of rebellions. The revolt risk system has been replaced by unrest of particular factions in each province. Concurrently, harsh treatment only targets specific factions rather than an entire province, which forces players to construct buildings that mitigate dissent as well as using religious and cultural conversion. It is without a doubt that Art of War has brought a lot of unique changes and additions to the overall EUIV experience with a completely new map, new nations, as well as the need to learn the revamped mechanics of once familiar features. Although the game is looks the same, the DLC has succeeded in making it a new game with new potential outcomes that will keep you on your toes and addicted all over again.